The Maverick Philosopher explains how the World is like Chess. A wise saying about chess, often attributed to Goethe, but apocryphal for all I know, goes like this. "For a game it is too serious, and for seriousness too much of a game." 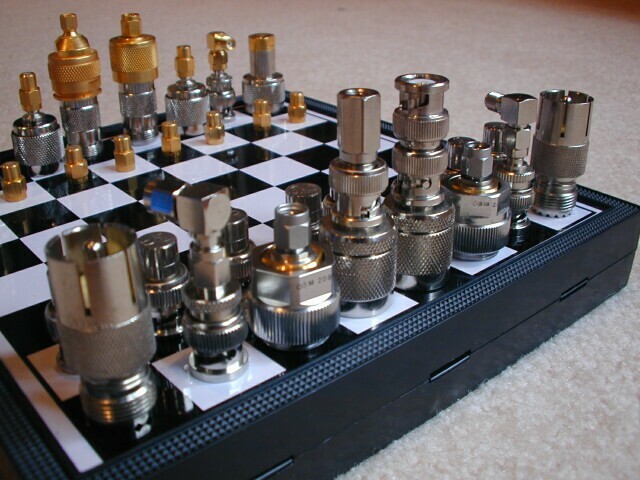 Colin Barnette points us to a chess set made out of RF connectors (whatever they are). As he puts it: "Geek level: off the chart". While mixing pie, melt butter. Beat sugar, flour, and eggs. Add milk, water, and lemon juice. Add butter last. Pour into crust. Bake in a pre-heated 400-degree F. oven until pie is firm and golden brown. 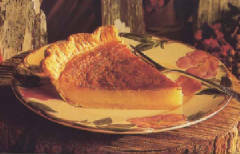 Recipe makes enough pie batter for a ten-inch pie or two nine-inch pies. No writing moves in advance at the US Championship! Scorekeeping move-by-move except the player may write both his/her own move and the opponent's response at the same time but may not respond before completing the recording of the moves. Do not write the move before it is played. Lt Malcolm was a good chess player. He looked like any other young marines officer: skinny, shaven-headed, although with a quite beaky nose. Anyway, you could always pick him out. He would be the one with the chess board placed on an up-ended box of MREs (Meal Ready to Eat), working out moves. I got to know him a little bit, as his bunk was opposite mine. I would watch as he gave chess tips to those of his men who had not completely given in to poker or hearts. About five hours into the battle, Lt Malcolm was killed. 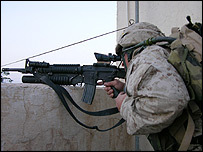 Read "Hunting 'Satan' in Falluja hell". Ukraine has been a chess piece in a strategic game played out by stronger regional forces since it was first mentioned in the fourth century BC. Jon’s mother, Cynthia Rousseau, said that since her son began playing chess in the club, his social and intellectual capacities have shot from "zero to 100 percent." ... and slowly move away from your scoresheet. Article 8.1: In the course of play each player is required to record his own moves and those of his opponents in the correct manner, move after move, as clearly and legibly as possible, in the algebraic notation (Appendix E), on the 'scoresheet' prescribed for the competition. It is forbidden to write the moves in advance. It is forbidden to write the moves in advance -- music to my ears! It will undoubtedly take time for this rule to work its way down through USCF and to local and club tournaments, but this is clearly heading in the right direction. I found two items today that might get you thinking about the interrelationship of chess, personality and madness. As former British champion Bill Hartston said: "Chess is not something that drives people mad; it is something that keeps mad people sane." To a certain extent this sentiment does resonate with me. For example, I returned to tournament chess in the mid-90's during a period when I was less than enthusiastic about my job/work life (come to think of it, when am I not less than enthusiastic about my job/work life?). I remember telling my wife that I needed that one night of chess per week to avoid going nuts. Those of us on "my side" (read: serious chess players) may be a little more ... roundabout in the way we do things, ... at ease with unconventional thought patterns and ideas, ... comfortable with things that are "iffy". We often like to come at things from the side, rather than head on. ... you might also find that "my side" doesn't exactly dominate the top of the "kindness" and "easy to get along with" lists. Not to say that we are out and out assholes but we may have less of a tendency to be accommodating. We are slightly more difficult cases. For starters, since you are playing by yourself for yourself, you must trust yourself. A habit of constantly scrutinizing the ideas of others (hopefully fairly) is inevitably formed. In extreme instances, this can even lead to a "my way or the highway" approach, although that doesn't tend to sit too well with people. More regularly, a major distrust of pop culture and even society as a whole is often generated. This is fairly provocative stuff. While I think that Mr. Oyekan does a good job of describing characteristics commonly seen in chessplayers, I would like to suggest an alternative hypothesis: Playing chess doesn't turn one into a "difficult case", but rather "difficult cases" are more likely to be attracted to chess. What do you think? What else…chess, I’ve been meaning to write about chess. Chess is huge here. Everywhere you go there are chess games in progress. In one of the squares downtown there is actually an outdoor chess board inlaid into the concrete. I’ve never seen it unused, and usually there are people clustered around it watching. The bar I’ve been visiting ("Oops Bar") has several regulars who watch for known chess players and will pounce on you as soon as you step in the place. Have to fend them off with a stick .... Other establishments are completely dedicated to chess, and make money off selling drinks (non-alcoholic) to players. Thinking machine 4 - its chess playing is average, but it is often artistic in graphically representing all the alternatives it is evaluating. Some of you will remember the Pixar short film about an old man playing chess in the park. Geri's Game won the Oscar for Best Animated Short in 1997. I found it posted on the Pixar site (not a great surprise, I suppose). Perhaps the tournament committee could look into this variant for a series of Friday night events? Update (11/19): This chess and drinking idea seems to be getting some traction in the blogosphere. Here is William Bragg's take. Let me be one of the first to comment on the soft launch with a news item about the past: namely, I posted a set of photos by Steve Stepak on the BCC photo site about the 1990s at the club. A bit of nostalgia. We are soft launching the members' weblog today with an announcement on 2004 Boylston Chess Club Championship. A more formal launch will probably occur in December in conjunction with direct on and off-line marketing to the membership and a link from the BCC homepage. It is with both anticipation and trepidation that we kick this baby out of the nest. Fly, little bird, fly! I've received a couple of reports that there are problems with viewing this blog. Unfortunately, I can't replicate these issues on IE or Firefox on my own machine. If you are experiencing a problem. Please leave a comment on this post with specific details about what you are experiencing and what browser/version you are using. Come to think of it, please leave a comment also if you are not experiencing problems so I can judge how widespread this issue is. Thanks. Update (2/20 10:00pm EST): Seems to be a problem with the sidebar in IE, but I can't replicate it. I sent a help request to Blogger Support; hopefully they will get back to me soon. In the meantime, you were meaning to switch to Firefox anyways - why not now? Update (2/21 10:00am EST): Looks like the problem is confined to IE and operating systems other than XP. I made a couple of changes last night, so if you have this configuration let me know if you are still experiencing this problem. Update (2/22 4:00pm EST): Logis was able to narrow the problem down to a single post. It should be fixed now, but I'm waiting for confirmation from him. One of USCL Commissioner Greg Shahade's top five chess-related websites.